Yep, just announced. 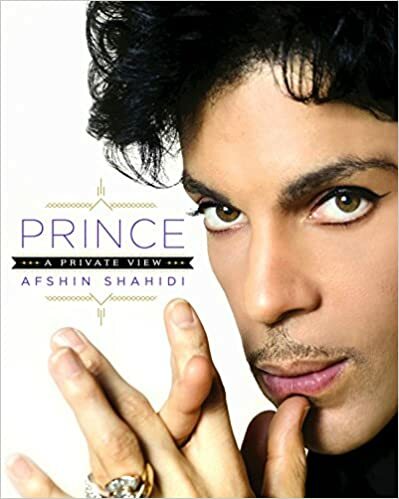 This is Prince's longtime personal photographer Afshin Shahidi's upcoming book which contains 250 photographs that Afshin took of Prince. In fact, I'm gonna sticky/frontpage this. We await BartVanHemelen's view on this with interest. We don't know why this wasn't sticky/frontpaged? In fact, it was a sticky that lasted less than 24 hrs. This looks good. 250 photos! Yep, this is a dupe thread. Good timing on my behalf then. Hopefully it'll be like Steve Parke's book - lots of never before seen photos and accompanying text. And yes, I know who he is. I believe Prince has/had a photo of his daughter in his office at Paisley Park??? I've pre-ordered, they have a great policy to give me a lower price if it drops later on. Yep, dupe thread. Where's the ?